Grassy Waters Conservancy, the non-profit for the 24 square mile, Grassy Waters Preserve, the Everglades in West Palm Beach, is excited to announce it has received its first grant. The grant from Ibis Charities Foundation, is important to the education and nature based Conservancy, as it allows it to proceed with its first project, adding a weather station at the City of West Palm Beach, Preserve Nature Center. When installed, output from the weather station, to be named for its donor the Club at Ibis, will be available to visitors to the Preserve, on the Preserve website, and on the Conservancy website www.grassywaters.org. 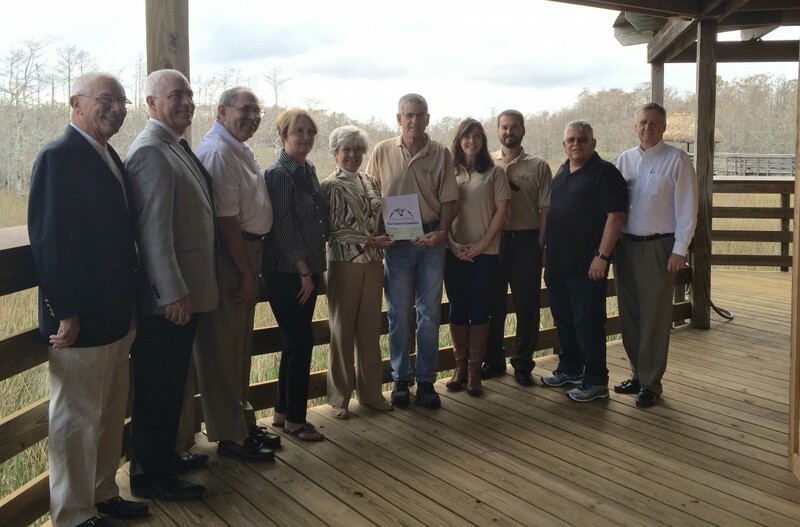 Below Ibis Charities Foundation is graciously making the donation to the Conservancy at the Nature Center.